The sport of Ultimate is colloquially known as Ultimate Frisbee. Probably because it was a stupid idea to name a sport using an unaccompanied adjective. To the uninitiated Ultimate seems like an incomplete sentence. Sorry, I missed that last part… Ultimate what?! You might expect that a sport would be named after its components, such as football, or after the place where it was developed, such as badminton, and quite reasonably so. Of course, Frisbee is a trademarked name, but couldn’t they have mentioned a disc somewhere? And what is so ultimate about it? Certainly the way I play it wouldn’t surprise me to be filed with a lawsuit accusing me of breaking the Trade Descriptions Act. To be honest, the sport that I play is usually just Adequate Frisbee, although sometimes Lucky Frisbee, and commonly Sorry-I-Didn’t-Mean-To-Do-That Frisbee. But my issues with the name of the sport pale into insignificance when compared to the seeming inability of others to comprehend both the strange name and the fact that it is actually a sport. Many people find it impossible to picture anything other than the scene of two kids throwing a disc back and forth to each other, occasionally pausing to climb over a fence to retrieve an errant throw or having to apologise to nearby picnickers for slicing their puff pastries in two. I dare say that they would probably believe me if I claimed that teams consisted equally of males, females and terriers. Hell, those dogs can really jump. I’ve lost count of the number of times that friends and colleagues of mine have called the sport Extreme Frisbee. What exactly do they think happens in a game? It’s not as if the disc is on fire you fools. Recently someone referred to it as Heavyweight Frisbee… Only God knows what she was thinking of. Maybe discus at a push? Wrong… oh so wrong. What I love about the game, and speaking as someone who sometimes struggles for fitness motivation, is the fact that it is possible to combine speed, agility, co-ordination, endurance, strength and team work together with an activity that is actually great fun. It really is incredibly tiring and surprisingly tactical, plus the skills are difficult to master, just the same as any other sport. It is a noticeably middle class sport with stong ethics – there are no referees so players are expected to call fouls and resolve disputes between themselves. The fact that this moral code somehow works speaks volumes for true sportsmanship which other sports could definitely learn from. The end of games is met with a circle of both teams in which the captains congratulate positive aspects of the opposition’s game play. And then most importantly of all there follows, like all of the best sports, a visit to the nearest pub for some team bonding. Well, we have exercised, so should deservedly down a few! I’ve never heard of Ultimate, er, disc throwing, but I do know Frisbee Golf. The local parks have courses set up and it’s absurd. Although if golf is too expensive, too hard, or too snooty (dress code? really? ), then frisbee golf is the way to go. Not at all athletic, though. It is an American sport so it’s interesting that it isn’t a well known sport there too! We have disc golf too, although I haven’t played it. I would prefer it to real golf though. I tried playing Frisbee as a kid, but I was terrible at catching things. And my aim was terrible as the disc always landed on a tree and someone (not me) always had to climb up to get it. I do love watching people play … love this post … funny … and makes me think of my youth. Drinks are always a good way to end a game. My aim is also not the most accurate at times, but I have noticed a slight improvement recently. Thanks for your comment, glad you liked the post. 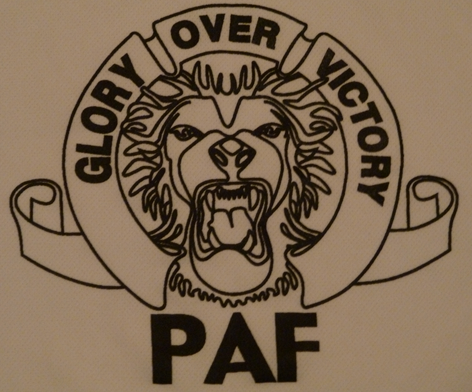 great blog, I really want to join PAF but after all those email to and fro on training, I’m actually scared to join…. maybe after the tournament that’s currently going on..i’ll join…. Thanks. Saturday training is very informal and good fun, come along! love the russian Gustav blog!! ok ultimate in the diary for Saturday in two weeks time! Great, hope you enjoy it, although I won’t be there for a few weeks. July is very busy!